The Escape Room Guys are pleased to announce a new real life escape game coming to Derby City Centre. Teaming up with friends, you are dropped into a chosen scenario with only your whits to help you solve our puzzles, clues and stories. 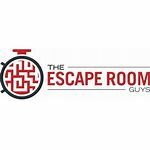 Do you have what it takes to escape our rooms in a record time to reach the top of our leaderboard? Contact us directly for any more information.